Are you looking for a friendly, reliable and professional removal company on the south coast? 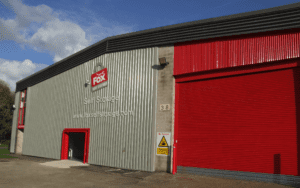 If so then look no further than Fox Moving and Storage. We have been in business for over 40 years and have successfully moved several thousand customers, whether it be just across the street or to the other side of the world. Just call us on 023 8042 8559, complete the quick form to the right or click on one of the links below and we will be able to offer you advice and guide you through all aspects of your relocation, helping to relieve some of the stress that we all experience during the moving process. Arranging international removals from Southampton entails plenty of organisation and effort. Fox Moving & Storage offers both domestic and business property owners a solution, with our personalised overseas relocation service. Formed in 1971, our removals company has garnered over four decades of experience in international moves. Our focus is and always has been on offering our clients with a bespoke solution to the often stressful nature of an international move. When relocating from Southampton, we will provide you with a dedicated account manager who will plan your move in its entirety, from the initial packing all the way to the final delivery of your belongings, whether you are moving to Berlin, Barcelona or a more far-flung location. Moving to an international destination requires that you obtain the necessary legal documentation. 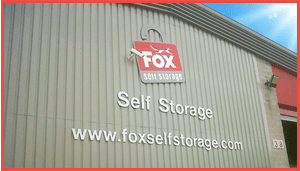 Fox Moving & Storage will fully manage all the necessary legal requirements so that you don’t have to. And, thanks to our ever-expanding network of international logistics partners, we can ensure that your items are delivered to your new residence safely and in a timely manner. Call Fox Moving & Storage on 0800 0217621 for international removals from Southampton and speak to one of our dedicated team members today. Request a Callback from us! We understand that each move is different and each client requires their move to be planned unique to their needs. Your dedicated account manager will arrive at your existing residence to ascertain your requirements, providing you with a comprehensive plan that sets out everything you need to enjoy a stress-free international relocation.